FEATURING TWO TURNTABLES AND A MIXER! DJ SPINCYCLE, ​ is label co-founder, music producer, recording engineer and radio jockey Ankur Malhotra. An avid musicologist, he explores, engages, and connects with musical traditions from around the world. Decades of crate-digging esoteric records from around the world meld with a love for global grooves and the club sounds of Detroit, Chicago, Berlin and beyond infusing his DJ sets with deep, dark, dubby techno, house, and funk. Always vinyl, always groovy! Featuring two turntables and a mixer, delicious wax and layers of sound - music to make you dance. ​ BACKGROUND: Ankur's first forays behind the decks began in the early 2000's, also when he adopted the moniker 'DJ SpinCycle' for his popular New Year's Eve parties. DJ SpinCycle has since performed at various clubs, street parties and festivals around the US Midwest, Europe and in India including Madison Children's Museum 'Adult Swim' parties, DJ residencies including Techno Tuesdays@The Frequency, La Fete de Marquette 2011, Rib Fest in Madison; and at various venues in New Delhi, India. 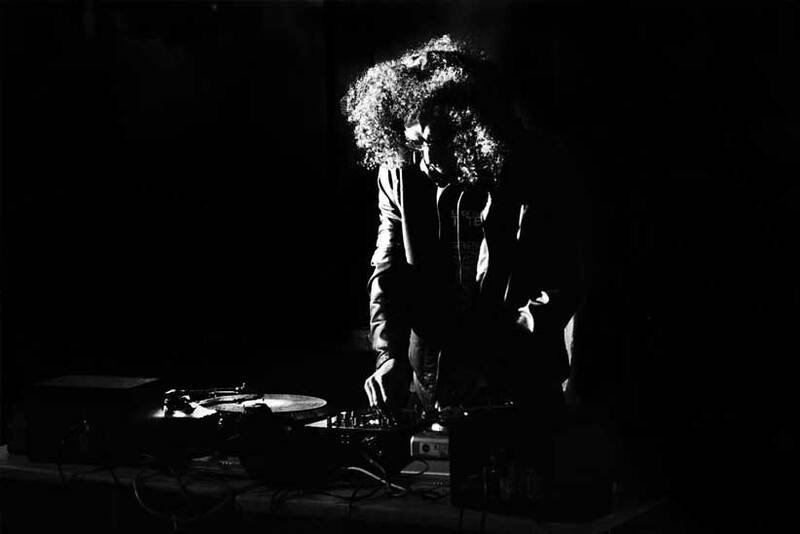 He has been a regular DJ on the weekly radio shows Friday 8 o'clock Buzz and Pan Africa Radio Show on WORT89.9FM community radio station in Madison, and guest DJ on the free-form late night show The Music Shop and Global Revolutions (also on WORT). Co-founder of Musique Electronique and Willy Street Beats in Madison, n Madison, community-oriented street electronic music festivals established in 2011 that have featured a stellar cast or artists including Charanjit Singh (Live), Derrick Carter (x2), Mark Farina (x2), Kid Koala (x2), Francois K., Kevin Saunderson, Stacey Pullen, Claude Young, Mitu, Mike Huckaby, Chrissy, Sassmouth, Derek Plaslaiko, Golden Donna, Luke Solomon, Paul Johnson, Poirier with MC Zulu, Dustin Zahn, Carlos Souffront, Eli/Soul Clap, and many more. The 9th edition of Musique Electronique takes place 12-13 July 2019 at McPike Park in Madison. PLAYING TRACKS BY Lalo Schifrin, Nicolas Jaar, Pole, San Proper, Theo Parrish and more. PLAYING TRACKS BY Cornershop, Tony Allen, Mark Ernestus, Kenny Dope, Mugwisa International Xylophone Group and more. An eclectic mix of mostly new and unreleased Afro funk, tribal techno and future house music. DJ Spincycle is Ankur Malhotra (Amarrass Records, Madison Music Review, AnEyeful.com)... a vinyl-only mini-mix. Enjoy! Recorded live at Amarrass Nights @ Lodi, March 15, 2014 in New Delhi, India.